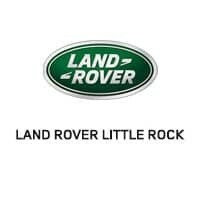 The friendly and knowledgeable staff at our Little Rock Land Rover dealer is eager to answer all your questions. Simply give us a call at one of our phone numbers listed to the left, or fill out the form below and one of our representatives will be in touch with you shortly. Our sales team will be happy to assist Little Rock drivers with any questions about our new Land Rover models for sale, of which we have dozens for you to choose from, so you don’t need to worry about finding the right one for you. Also on our lot is our wide selection of used and certified pre-owned vehicles, all equipped with a free CarFax® history report so you know exactly what you’re driving off our lot in. We don’t just sell cars–we service them too. Call our service department for any questions you might have about your Land Rover and our certified technicians will be able to point you in the right direction. If you need to schedule service, we offer everything from tire rotations and oil changes to front end alignments and air filter replacements. Need parts? Our parts department always stays fully stocked with genuine OEM parts so you can get in and out without any unnecessary waiting. If you’re getting a part installed and have some time to kill, we offer complimentary loaner cars so you can get done what you need to get done. Don’t wait any longer–Land Rover Little Rock is the dealership that you want on your side.